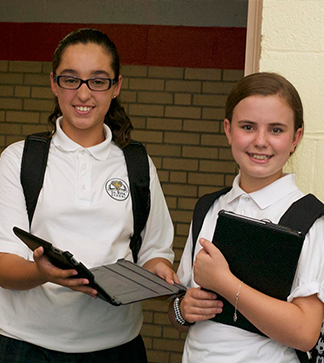 St. Rita School invites all prospective students and parents to take part in our Welcome Days each Monday through Friday (that school is in session) from 9:00 a.m. to 2:00 p.m. Welcome Days will begin in September and will continue through June. Parents and students will have the opportunity to observe our classrooms, tour our school, meet members of our faculty and staff, as well as discuss the enrollment process with our Admissions Department. Shadow day opportunities are also available for grades two through eight. Please contact the office today to reserve your spot at (203) 248.3114. We look forward to meeting you.